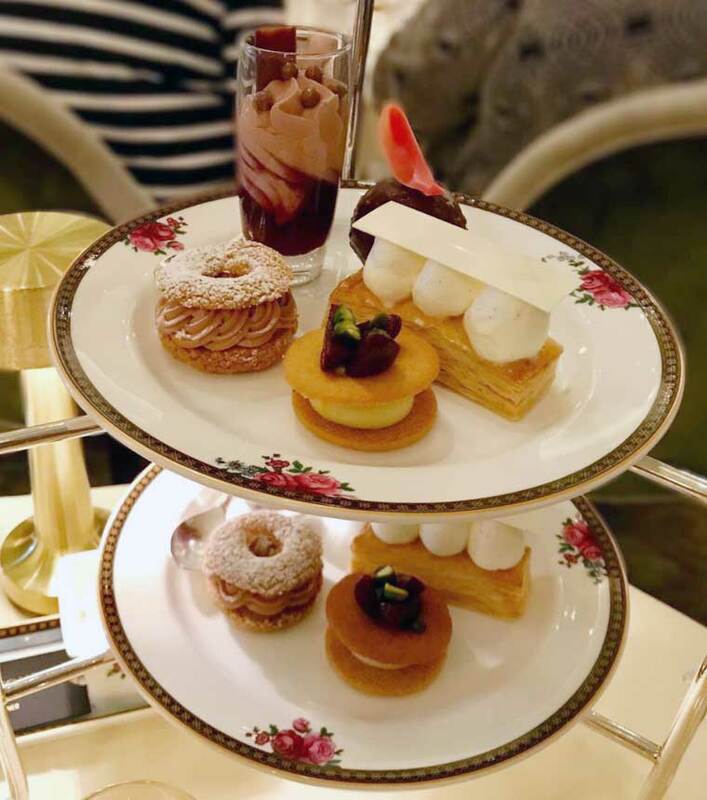 A five-star afternoon tea at the birthplace of the tradition of afternoon tea – and one of London’s grandest hotels - The Langham London. A delightful Wedgwood Afternoon Tea at The Langham Hotel in London. 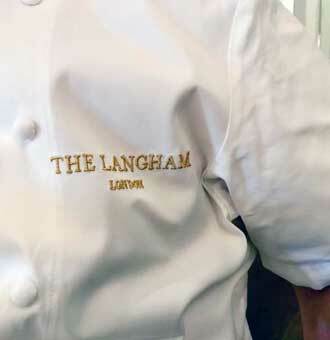 A wonderful afternoon spent in the elegant Palm Court at The Langham Hotel in central London, full of delicious flavours, wonderful service and complete contentment. 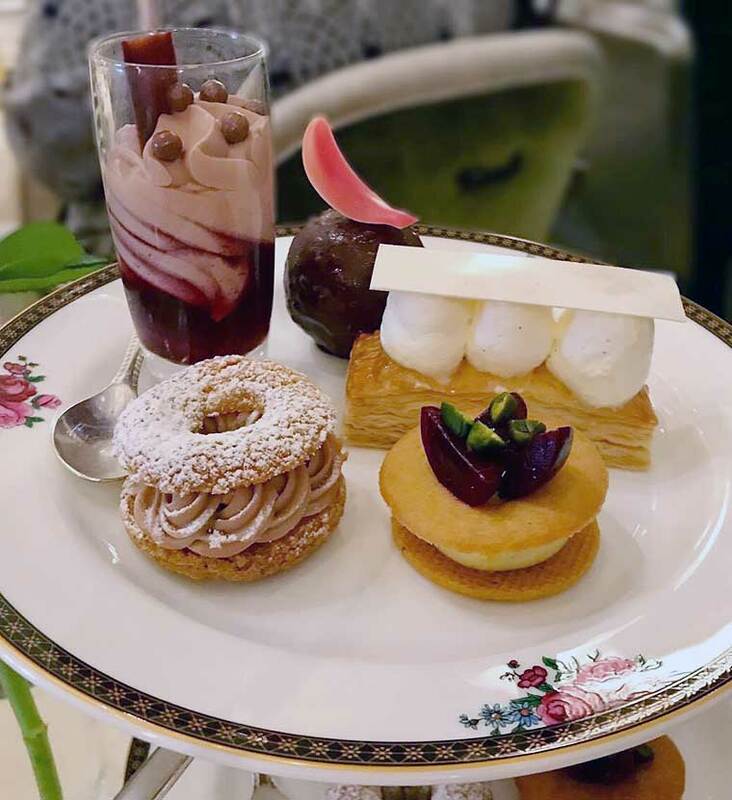 It only seems right to visit the place where the tradition of afternoon tea was born, Palm Court at The Langham Hotel, during the UK’s National Afternoon Tea week. Danny the Doorman greeted us with a warm smile and told us how his dad, who had also been a doorman, had brought him to the hotel to have afternoon tea when he was a child. Without hesitation or prompt, he described the afternoon tea at The Langham as ‘the best in the business’. And after three luxurious hours, I fully agree. The Langham proudly states that it was opened in 1865 by HRH The Prince of Wales as Europe’s first ‘grand hotel’. Well, the Prince certainly knew a good thing when he saw it – the Palm Court is elegant, with sleek chandeliers and golden flashes of artwork glowing in the atmospherically lit room, even the bubbles in the champagne worked with the Art Deco style. The crisp linen on the tables was decorated with their bespoke Wedgwood teaware “Langham Rose”. Palm Court takes its tea Very Seriously. 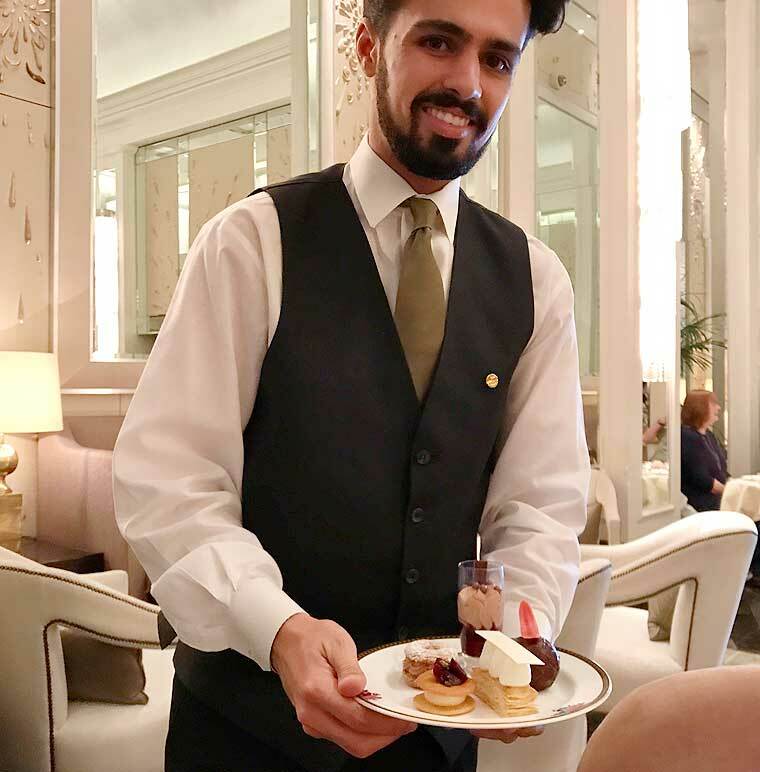 Our waiter Jamie is a trained Tea Sommelier, a title earned after completing a course developed through The Langham. If you have a question about tea, I strongly suggest you seek out Jamie as he will likely know the answer. He clearly took real enjoyment in explaining the teas he had picked for us as we ventured into the unknown territory of green tea. I genuinely think our afternoon would not have been as tasty an experience had we not trusted Jamie to pair our five teas with our food. That is a bold statement for a solid and loyal Earl Grey drinker. Jamie’s ultimate goal is to pair teas with food, just as wines are. 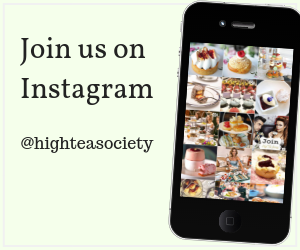 There are 27 teas on the menu with more to be added. We were introduced to five teas during our visit, each paired with the food to work up to a more rigorous flavour with the richer treats at the end. Genmaicha, a Japanese nutty puffed rice tea, was paired with the sandwiches to complement the savoury course and the tea with the lowest caffeine paired very well with the chocolate and richer pastries. But my favourite happened to be the one specially created by The Langham’s Master Tea Blender to celebrate the 150th anniversary of the hotel, 150 ingredients to mark each year. Complex to make yet subtle to the taste, each batch takes eight hours to create. When I think of afternoon tea I normally want to skip ahead to the scones and desserts but in this case I must dwell a while on the savoury course. At first glance, Executive Chef Chris King’s sandwiches could look like the traditional offerings on a pub’s Sunday lunch menu – beef, prawn cocktail, smoked salmon, egg. But. The Best Prawn Cocktail Sandwich I’ve Ever Had. Topped off with tomato powder, I had to stop myself asking for another one to ensure there was room for everything else. The flavour of the caramelised onion bread worked perfectly with the pastrami, and the gluten free option was just as good. The scones came wrapped in a napkin to keep them warm, and top ups of cream and jam were readily delivered to our table with pleased smiles that we were enjoying our afternoon. 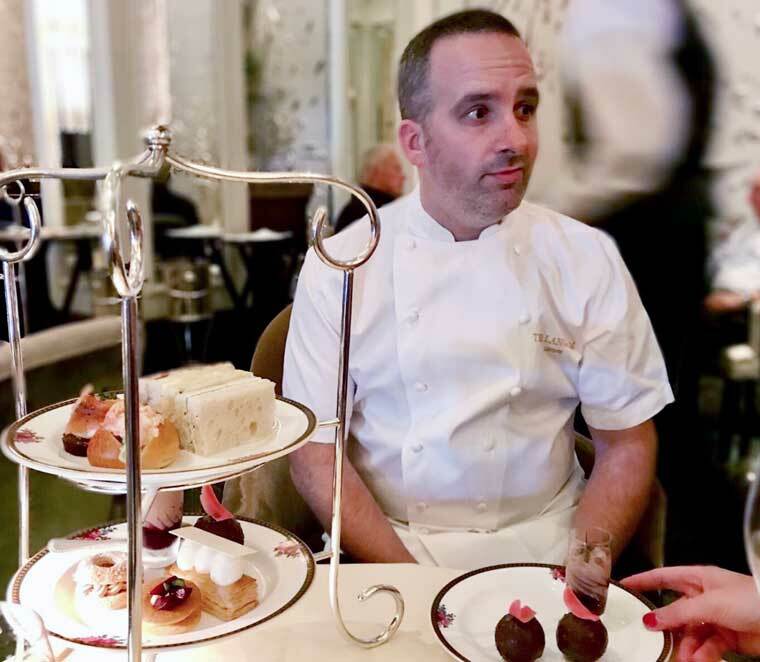 Executive Pastry Chef Andrew Gravett has been at The Langham for six months – following internationally renowned Cherish Finden – and was keen to get back to the classics in flavour and presentation of the desserts, hence the launch of the new Langham Afternoon Tea with Wedgwood in May 2017. I couldn’t possibly pick a favourite dessert. We were advised to eat the desserts in a certain order to complement the tastes with the tea, building up to the richer desserts. The pecan cream and caramelised pecans in the crunchy Paris Brest was a glorious contrast to the raspberry and mousse of the Spherically Challenged. A few bites were all it took to be in-love with the indulgent flavours, not too full and ready to try something else. I wondered why I was able to hum along to the piano and it took me a while to realise that I knew all the songs, songs of nostalgia with a sleek twist. Vintage-inspired versions of Boyzone, Bryan Adams and Stevie Wonder songs sound rather beautiful on a grand piano, yet another part of the carefully sculpted Art Deco sophistication. Palm Court at The Langham seems to be going out of the way to make a luxurious treat accessible for everyone. There is a special afternoon tea for children complete with a teddy from nearby toy shop Hamley’s and the gluten free offering is tasty and doesn’t dull the flavours. 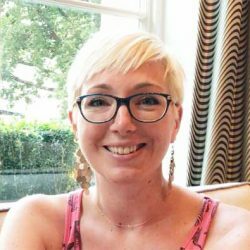 We saw birthday celebrations, people dressed up and enjoying a holiday treat, and children delighted with their edible treats while cuddling their fluffy ones. And as one Prince opened the hotel, we left with another – John was playing ‘Purple Rain’ on the grand piano. 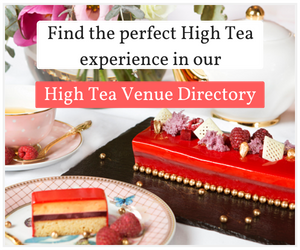 It’s very hard to find anything to fault with this afternoon tea experience – the staff were friendly, welcoming while providing flawless service, each course was delicious, the setting elegant yet the atmosphere relaxed. Yes, it’s expensive, but utterly worth every penny and perfect for a celebration or special occasion. Full five marks and I can’t wait to go back, hopefully Jamie will be there! A very good gluten free option is available. Seatings are available between 12:15 and 17:30 daily.